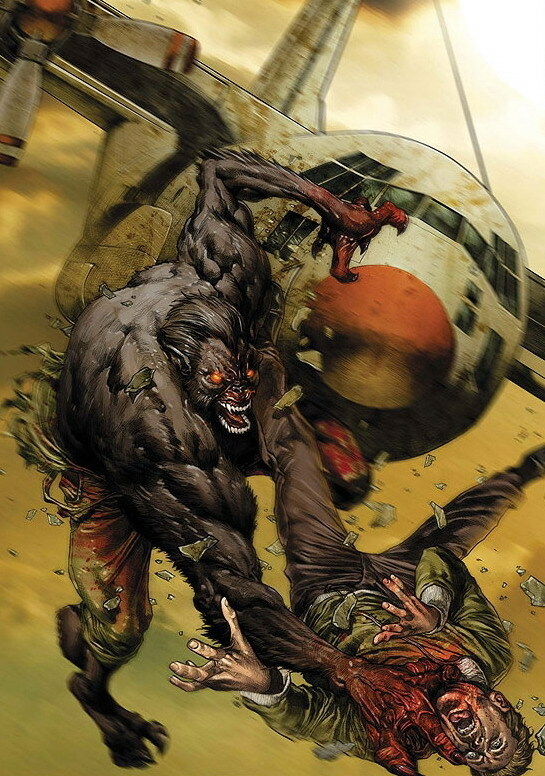 Werewolf by Night (birth name Jacob Russoff, legal name Jack Russell) is a fictional Character, an antiheroic werewolf in the Marvel Comics universe. 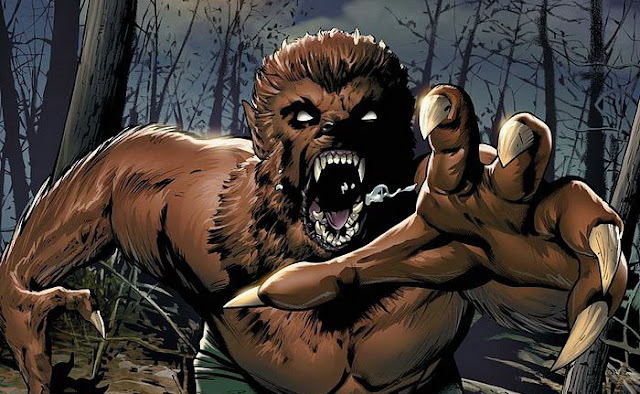 The Werewolf by Night (usually referred to by other characters simply as the Werewolf) first appeared in Marvel Spotlight - More about Werewolf by Night Character Review...keep reading !! Jack Russell is a descendent of the mystically altered offshoot of humans known as Lycanthropes. Under moonlight Jack transforms into a werewolf, a large, powerful form which is a hybrid of human and wolf; in this form, he possesses the best qualities of both creatures, retaining his full human intellect and reasoning ability while gaining the proportionate physical advantages of a nearly 7-foot-tall (2.1 m) wolf. In this form, he possesses superhuman strength, speed, stamina, durability, agility, and reflexes. He possesses enhanced senses, including superhumanly acute senses of hearing, smell, and taste, and can see beyond the spectrum of light visible to normal humans into both the ultraviolet and infrared ranges. His perceptions of infrared in particular is so acute that he can judge an individual's physical and mental state simply by observing the patterns of heat in that person's body. He has razor-sharp teeth and claws able to rend light metals. The werewolf is resistant to many forms of conventional injury and virtually impossible to kill by conventional means; though he can be severely wounded, he recovers from non-fatal wounds ten times faster than a human would. He is vulnerable to magical attack and like all supernatural creatures he can be killed by weapons made of silver, due to its inherent mystical "purity." 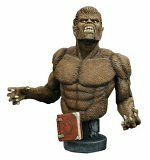 At one point he had little control over his werewolf form, which was becoming more bestial and savage, and he likely has even less control under a full moon. Although at one time his transformations were governed by the lunar cycle, Russell gained full mastery over his condition and became no longer limited in any way by lunar phases, enabling him to transform at any time of the day or night. This transformation is painless and completely under his control at all times; he can transform his entire body or an isolated portion he chooses. Sunlight caused him minor irritation, and while his transformations were entirely voluntary, he may experience an increased urge to transform during the full moon. 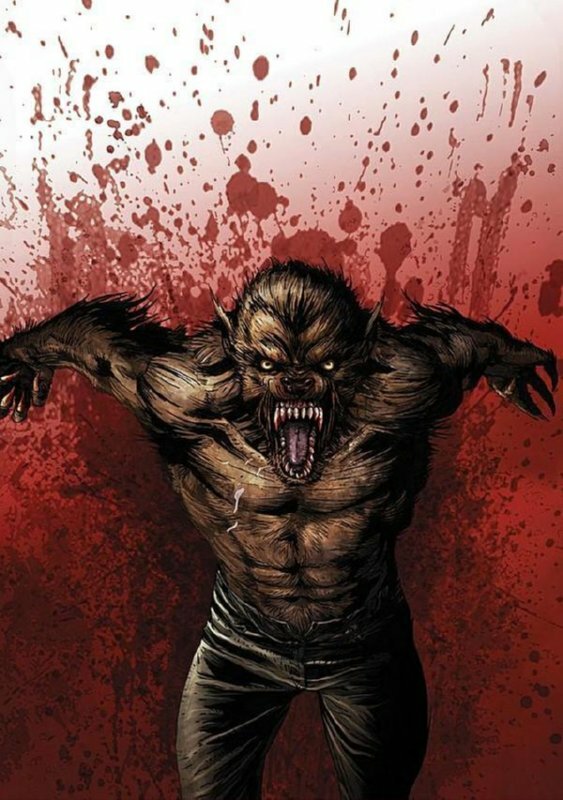 It was unclear if he could control whether wounds he inflicted turned others into werewolves. Over the course of his adventures, Russell became something of a novice magic user, often using spells and enchanted objects to aid him in specific scenarios. A film version of Werewolf by Night written by Robert Nelson Jacobs was announced in 2005.